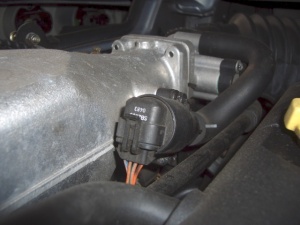 The Idle Air Control Valve (IACV), or stepper motor, allows the electronic control unit (ECU) to regulate the airflow to the engine independently of the driver's throttle input. 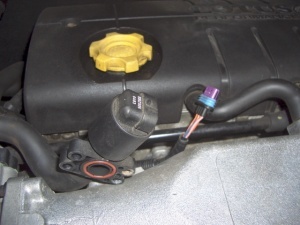 The IACV is also used to control airflow during load changes between positive and negative torque to provide a throttle damping function to improve the drivability characteristics of the vehicle. If you are suspicious that your IACV may be stuck/jammed, you can test it by disconnecting and reconnecting the ECU temperature sender with the car ignition on (but not running). If it can move, you'll hear it chatter as it seeks to a new position when you unplug the sensor. Removal is a simple process and takes less than five minutes. It is held in place by two t20 torx screws although a 3mm allen key will also fit. The lower bolt is slightly harder to get at although easy when the IACV is disconnected from the loom. When removed it may be sooty and should be cleaned with carburettor cleaner. The IACV is mounted underneath the airbox, in a bracket/clamp that is bolted to the engine block. 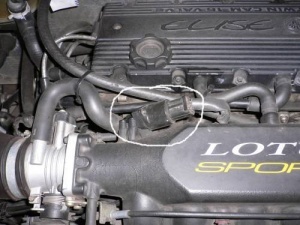 Undo the long M6 bolt (10mm socket) to slacken the clamp and remove the IACV. Removal, cleaning and refitting is a 20 minute job. Unplug the loom attachment first. The valve assembly is held in place by four torx screws. The lower two are not visible and have to be located by feel. When the assembly comes free be careful not to drop the rubber seal. Detach the hose. Cleaned with copious amounts of carburettor cleaner spray (until the fluid runs clear). Fitting is reverse of removal, use silicon grease on the seal before reseating. Screw torque 1.5nm. 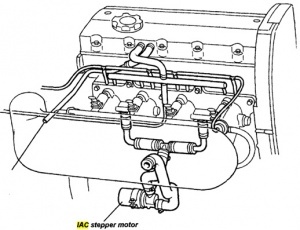 S1 (Stepper) The IAC Valve position maybe reset by switching the ignition on disabling the immobiliser and pressing the throttle fully and slowly 5 times, it may also be reset with the Lotus check tool. This is detailed in section EMN page 14 of the service manual. S2 (PWM) The S2 ECU cant measure where the IACV is so has to count the drive pulses it sends and remember the position, then tries to return to a datum every ignition on/off. If it loses track e.g. battery disconnected the ignition needs to be switched on to position 2 and off several times to run the valve back to the datum. This page was last modified on 20 September 2016, at 19:54.